Style 5101 is a sleeveless dress with a scoop neckline. 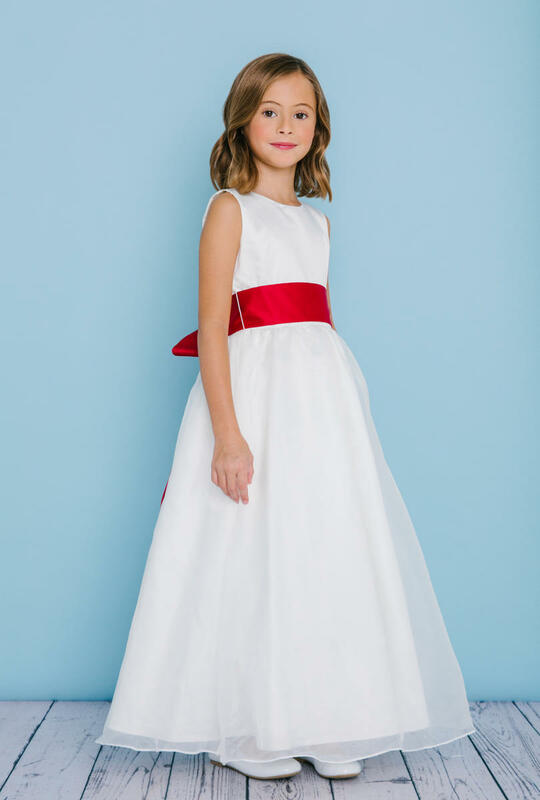 Natural waist is accented with�a satin sash with self-tying streamers. Satin buttons cover the zipper.